704 pages | 182 Color Illus. | 24 B/W Illus. A new chapter format that includes a "basic topic" section, which contains up-to-date essential knowledge of the topic and a "further topics" section for a more advanced treatment of the area. A new section on neuroscientific approaches to rehabilitation in each chapter to make links between scientific knowledge and clinical treatment. A companion website including related weblinks, guidance on answering the ‘study questions’, and flashcards. 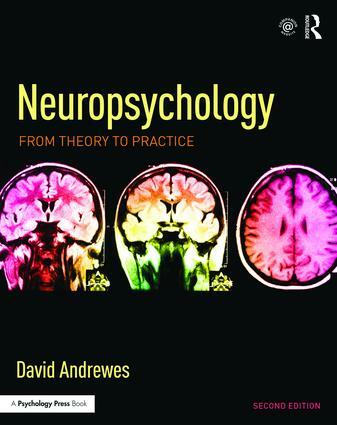 This book will be invaluable for undergraduate students in Neuropsychology and students who wish to take the subject further to the various clinical fields. David Andrewes is an Associate Professor and Senior Principal Research Fellow at the Melbourne Neuropsychiatry Centre of the University of Melbourne, Australia.